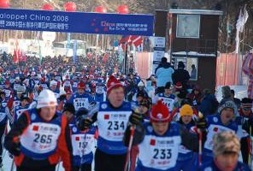 Vasaloppet China will be held in Changchun for the 7th time this winter. The date is set for the 2nd January 2009. This is the ski event where everyone can participate! Vasaloppet started in Sweden as a cross country ski event where skiers go 90 km from the town Sälen all the way to the finish in Mora town.